This can lead to some very high level mathematics using ratios and simultaneous equations. You can leave this as an investigation for high ability students by just giving them the rules at the top and asking them to find a strategy for solving it. 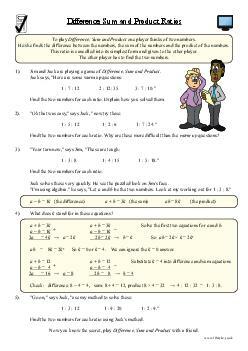 This worksheet is aimed at students in Year 11. It will also be appropriate for students in other Year Groups, of a similar ability level. It covers the topic Algebra.